I teach 5-8 technology but my room is housed right off the the big industry tech/ wood shop. The building used to be a high school, but now is a middle school. The Industrial Tech teacher otherwise known as shop started kinda working together a couple years ago and are just trying to do some different things to help kids learn.We are trying to do some things with Robotics, coding, 3D printing to name just a couple things. I would like to have kids 3D print train car shells. 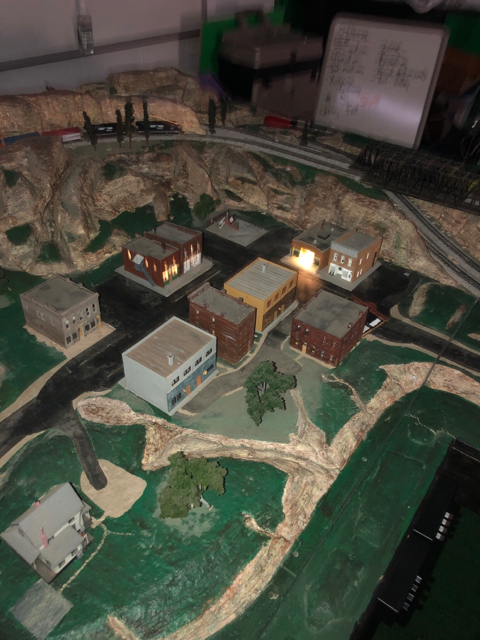 We also recently printed a wind turbine in N scale and would like to print a few more and see if we can actually get the blades to turn via solar power. I do think I have some more pictures somewhere as well as some video of when I did have it running just very little. I will see if I can share those on here. ppuinn and SLSF Freak like this. 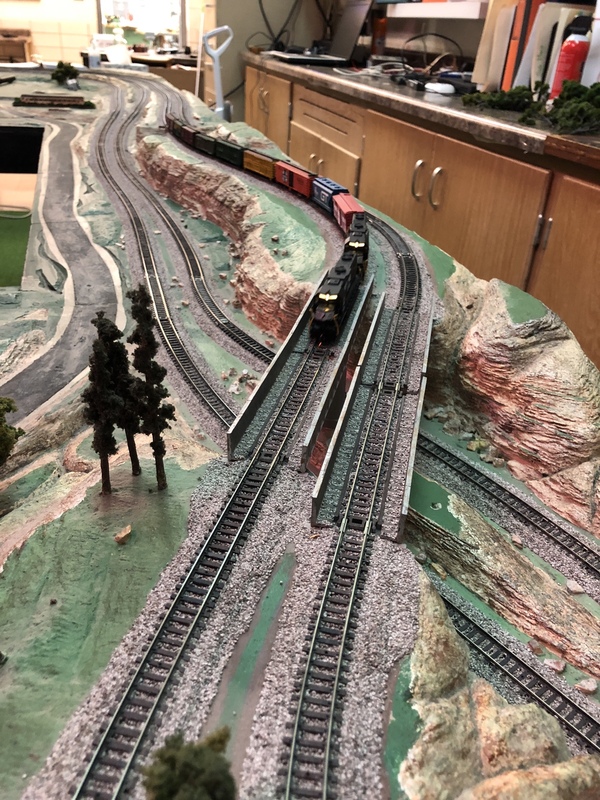 I have some video of when I had the train running on one track for a short time but I cant see how I can upload video on here, mayber pictures are just allowed. Upload to YouTube and post link here. To post a video on TrainBoard, it must first be uploaded to YouTube or Vimeo. In YouTube, click on Share. A box will come up with a tiny URL link. Copy the link into a TrainBoard post. The TB forum software will recognize it and the video box will be displayed in your Post. 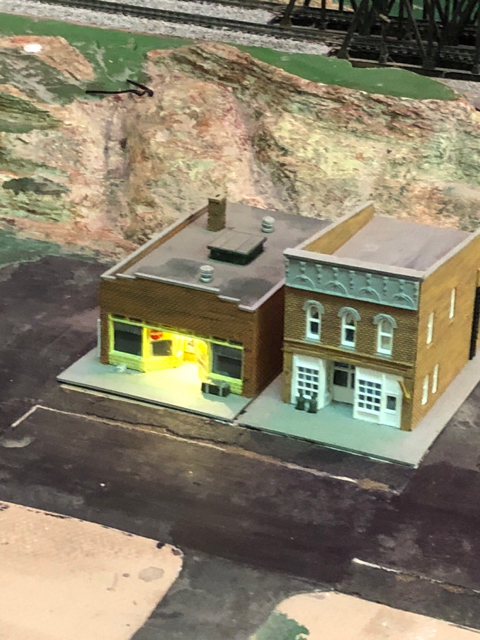 I was unsuccessful at tracking down which region and/or division of the National Model Railroad Association Ft Dodge Iowa might be in: either Thousand Lakes Region or Mid-Continental Region . The Mid-Continental website lists contact info for division board members (Try Kate Shelley Division, Eastern Iowa Division, ILLOWA Division, or Great Midwestern Division for contacting someone in a city near you). Also, you might get relevant info, if you contact hobby shops locally or in other major cities (Des Moines? Ames? Souix City? Waterloo? Mason City?) 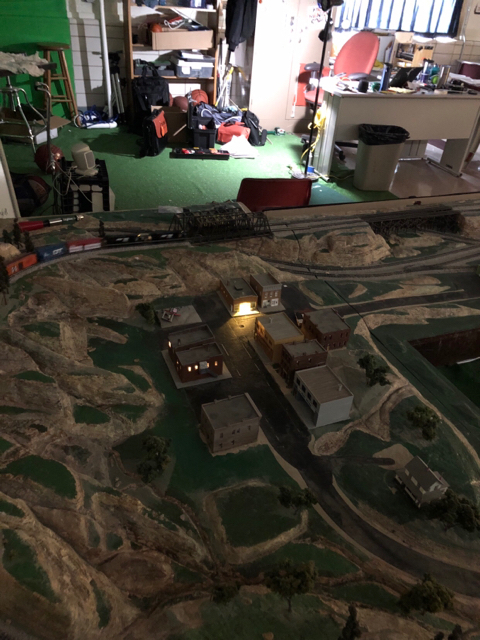 selling model train items, and ask if they know of contact info for the NMRA Division nearest Ft Dodge or if they know of hobby shops specializing in model trains closer to Ft Dodge. Do you or the HS Shop teacher know of Maker Labs in other Iowa cities that might have members who are also model RRers? 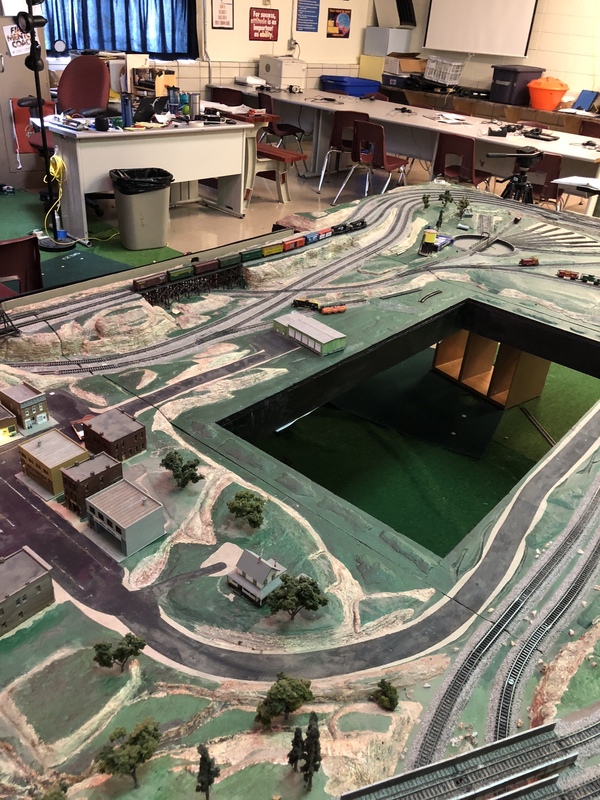 Kudos for involving middle schoolers in model railroading! Oops...Just noticed that MK already posted about the video. I don't see wires going into the switch machines in some of the layout pics. 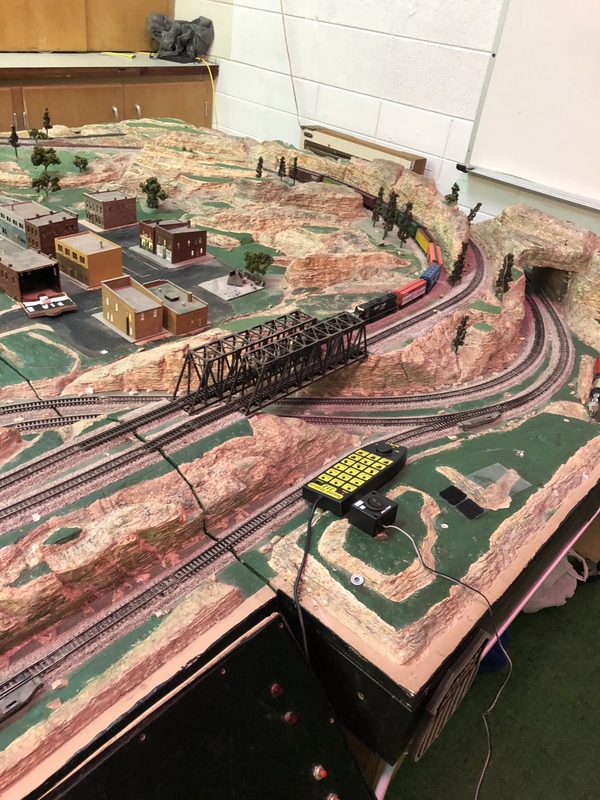 Are there both manual and electric switch machines on the layout? or did the original modeler do a very nice job of hiding where the wires go into the switch machines? The wires are visible going into holes in the roadbed adjacent to each switch machine. Good call, Point353. I saw the wires on the switch machine in the second of the four pics in his earlier post, and those are probably wires going into the roadbed in the later pic that shows the Sound Station controller. But, in the later pic of the turntable, the wires to what I think were numbered the 4th and 5th (3rd and 4th???) switch machines near the turn table weren't visible at all (due to good modelling, the distance and angle of the camera shot, and my old eyes)...which, in turn, fed into my quixotic quest to find clues to identify the black (plastic?) shapes on the white back wall of the control panel box. In one photo I see what looks like a wood screw has been driven through the track between the rails, near one of the joints of the sectional layout. I would try to carefully remove it, and find another method to anchor the track down in this area if it needs help. It doesn't look like there is much clearance for any metal wheels to pass over the head of the screw! I also see areas where there are several short pieces of track, held in alignment with rail joiners. If you are having trouble getting locomotives to run over these short pieces of track, the connections between the metal track joiners and the rails are probably dirty, which happens all of the time on old layouts. If it hasn't been done already, I would solder a small wire across every one of these joints, and hide the wire in the ballast. For reliable operation, you want the rail joiners to only hold the rails in alignment, and NOT be the only electrical connection between two pieces of track. Somebody put some Woodland Scenic Just Plug lights on this layout or buildings, they are not that old. The big rectangular hole in the middle, are those the transformers in there? Are you suppose to operate from the middle? Very interesting project. Can't wait till you take some more pictures. Here is a short clip of when I did have the train running just a little bit. in2tech and John Moore like this. ...which, in turn, fed into my quixotic quest to find clues to identify the black (plastic?) shapes on the white back wall of the control panel box. The "black shapes" in the control panel do appear to be switch machines. Perhaps they're used simply to activate the indicator lights on the control panel to show which route has been selected? Those power packs appear to be either three MRC Tech II 2400's or three MRC Tech II 2500's with all three on momentum or a combination.